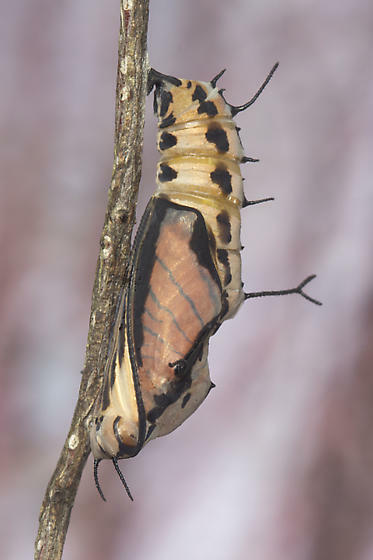 After some research, it appears this coloration of chrysalis is normal in the Amazon. Apparently it is not the norm in Florida. The developing Daggerwing butterfly wings are now visible.